3 What is the process for User Authentication in Wisenet? 5 A User has changed their mobile number and now can’t receive their 6 digit pin to login. 7 I have sent a New User invitation but they haven’t received an email. 8 What and where is the Integration History page? You will need to have access to your email and mobile. Forgot your email or can’t find it in your inbox? Changed your mobile phone number? Contact your Portal Administrator. We will store your data as usual. We will not delete your data except by arrangement, in accordance with our policies, or where your organisation’s contract with Wisenet has been terminated and completed. What is the process for User Authentication in Wisenet? During the authentication process, the new user must confirm their email address and mobile telephone number to ensure it matches the information set by the Portal Administrator. A one-time security code is sent via SMS to the user’s mobile telephone number which must be input during the authentication process. Should any of these pieces of information be incorrect or not available, access will not be granted. You will still need to specify a mobile number of someone that the user can easily contact. When they are going through the invitation process they just need to be on the phone with the owner of that mobile phone to get the code that will come through on that other mobile number. You’ll probably want to tell the invitee about all this in advance of sending the invitation. A User has changed their mobile number and now can’t receive their 6 digit pin to login. Mobile phone numbers and emails cannot be modified by the Portal Administrator and can only be edited by the User or by Wisenet. 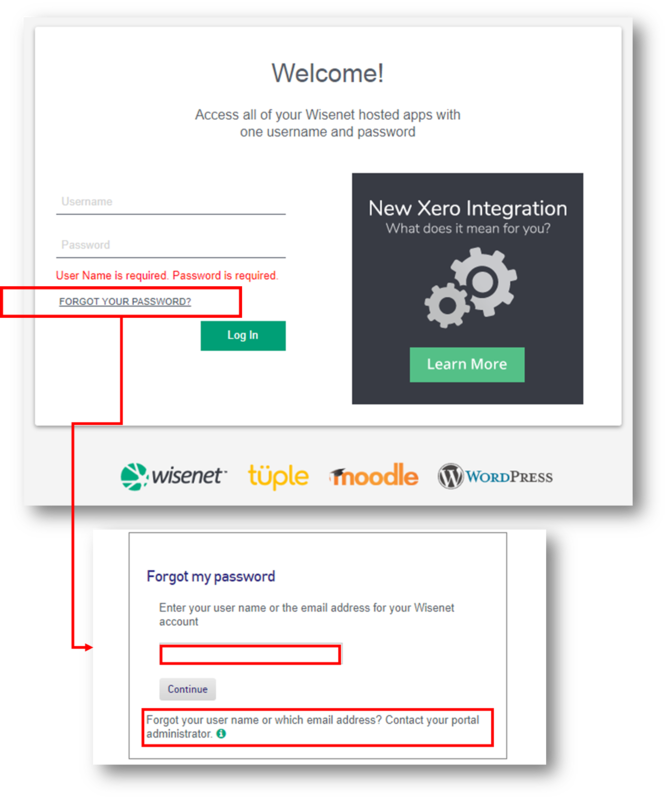 Portal Administrator will need to log a support ticket with Wisenet and provide details of the User include Username, email and new mobile number. You will still need to specify a non-USA mobile number of someone that the user can easily contact. When they are going through the invitation process they just need to be on the phone with the owner of that mobile phone to get the code that will come through on that other mobile number. You’ll probably want to tell the invitee about all this in advance of sending the invitation. We are not aware of issues with mobile numbers from any other country and we are working to resolve this issue for USA. I have sent a New User invitation but they haven’t received an email. Please check the junk mail and if your organisation has any firewalls that may prevent the email from going through. Try again. If this still does not work send the invite to another email address and the User can change their email address once they have logged in. What and where is the Integration History page? As part of the new Xero Integration feature the Integration History page has been made redundant.